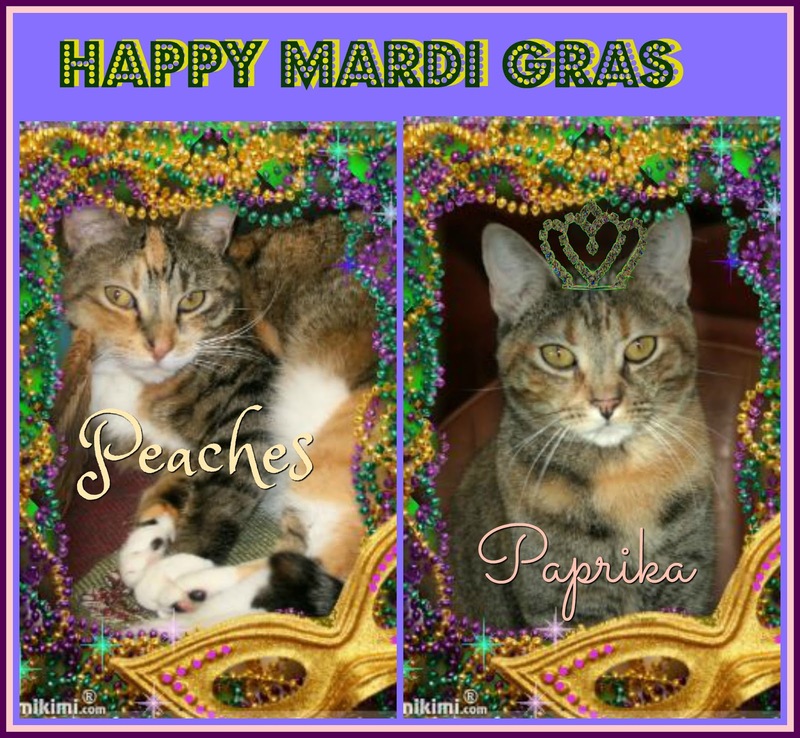 Peaches and Paprika: Mardi Gras Decision Time! 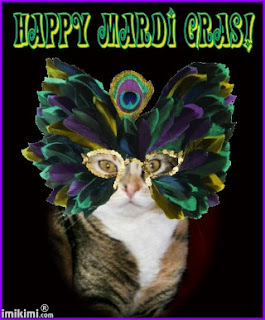 It's time to kick up our heels, er paws, soon and we're trying out Mardi Gras costumes today...we love to dress up, especially if it's virtual! Which of us do youze prefer? Ooh, I love the feather masks! Very pretty and festive! Both of you calico beauties make purrfect Mardi Gras models! 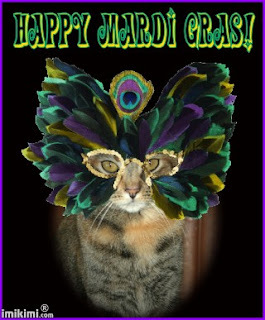 Oooo, those feather masks are awesome! You two know how to party it up! We're ready for Mardi Gras too! We think you both look fantabulous! We love the masks! I can't choose, you are both gorgeous. Ooooh, I'm partial to those feather masks. So beautiful! Whoa! Peacock feather masks! Love 'em. Love those masks!! You are both so lovely in them! !